This clos has never been divided and is the largest single Grand Cru monopole in Burgundy (monopole denotes one single owner). The Tart Abbey operated by the Bernardine sisters who were part of the nearby Cistercian community, created the domain in 1141. In 1791, after the French Revolution, it was purchased first by the Marey-Monge family and then by the Mommessin family who remain the sole owners today. It produces red wines from the Pinot Noir grape. The appellation of Clos de Tart comprises a 7-½ hectare parcel, rectangular in shape lying mid-slope at between 270 and 200 metres. It has an east south exposure and is bordered by a 1.2 kilometer stonewall. Within the wall there are six different microclimates according to the different ages and sorts of limestone, each is harvested and vinified separately. Contrary to most of the Côtes d’Or, the vine rows in the Clos de Tart are planted north south, perpendicular to the slope that helps prevent erosion and allows the grapes to benefit from sunshine on both sides in the morning and afternoon. The average age of the vines is 60 years old although some vines are 100 years old. All replanting is done from domain selected “massal” vines. Today the vineyard is under conversion to Biodynamic viticulture. This is only the sixth vintage since the 18th century that the Burgundy harvest began in August. The warm August weather meant Le Clos could patiently wait until the grapes had reached optimum ripeness before picking. Like 2010, 2011 is a « winegrower’s vintage » where judicious and timely decisions in the vineyard where the key to success. The 2011 is fresh and enticing on the nose with fruity prune notes and hints of rose petals and violets. The palate is round, supple and rich with a fine balance and intense fruity flavours. The finish is spicy, sophisticated and very seductive. For the third successive vintage, 2012 proved very challenging for winegrowers. Le Clos was fortunate to escape the hail, but was hit by frosts, suffered problems with uneven flowering and fruit set, and was also afflicated with rot and mildew. The yields were very small, just 14hl/ha, as opposed the usual yield of 26-27 ha/hl (the average for the last decade). 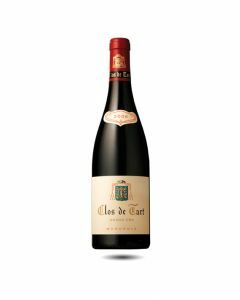 The grapes that did manage to survive have produced a Clos de Tart 2012 that is rich, full-bodied with a fine streak of minerality and scented with morello cherries and liquorice. The palate is round, plump with a wonderful tension between very pure acidity and elegant, structured tannins. Sylvain Pitiot talks about the 2013 grapes as being survivors who escaped every possible hazard: cold, heavy drought, rain, oïdium pressure, late véraison and very slow maturation. Only superb vineyard work could produce such a bright, pretty wine under these conditions. With the characteristic freshness of the Clos, the 2013 wines are perhaps not the most complex, but they have lovely bright red fruit character, elegant structure, good purity and long, refined length. I tasted the various components of the Clos that went into the blend of the 2015 vintage with Jacques Desvauges and it was a fascinating experience. It was wonderful to experience the differences of each soil ; some more perfumed and rose scented, others darker fruit with an almost brooding minerality and finally those with round, plummy fruit but always this abiding freshness which belies the depth and intensity of this extraordinary wine. The 2015 is fine and balanced with lovely Burgundian purity and a very long finish. Although it is tasting beautifully already, I believe that this wine has a long life ahead of it.